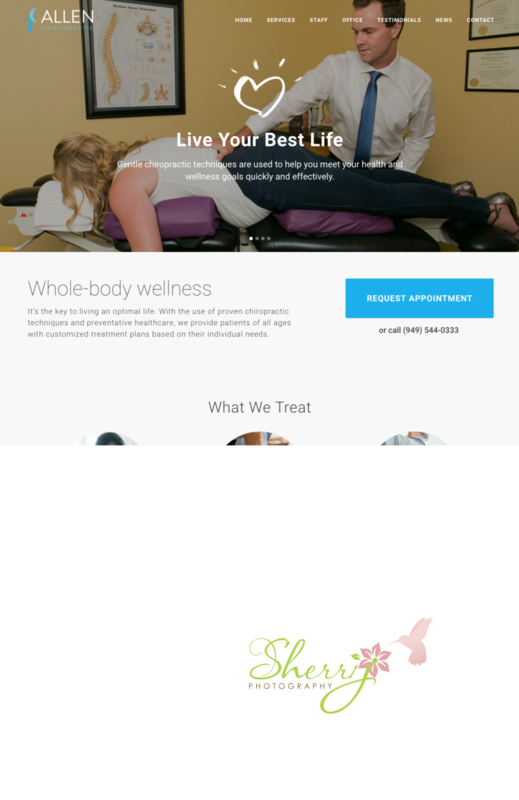 New photography for small business Allen Chiropractic Mission Viejo. Photoshoot included images of the office, front reception area, interior office space, exterior view with lake, medical rooms, and Dr James Allen performing procedures on patients including pregnant woman and young children. Images used for website, social media, and print collateral. Location: 27772 Vista Del Lago #B14 Mission Viejo, CA 92692.